| #lucky #noodles #bao @LuckyLunaNY | ??? | I am having serious doubts about sharing this restaurant and subsequent post. Lucky Luna is one of those neighborhood gems that you may regret telling people about if word spreads about its likable qualities and as a result it becomes too popular to get a seat. We are proud of our Mexican and Taiwanese heritage. Lucky Luna is the amalgamation of the beautiful balance we have discovered between our two cultures and flavored it with a touch of California and Brooklyn. The logo is a combination of two symbols. The Chinese “shou” is said to stand for longevity and fortune. The “luna” guides both the push and pull of the tides, conserving the equilibrium of forces. 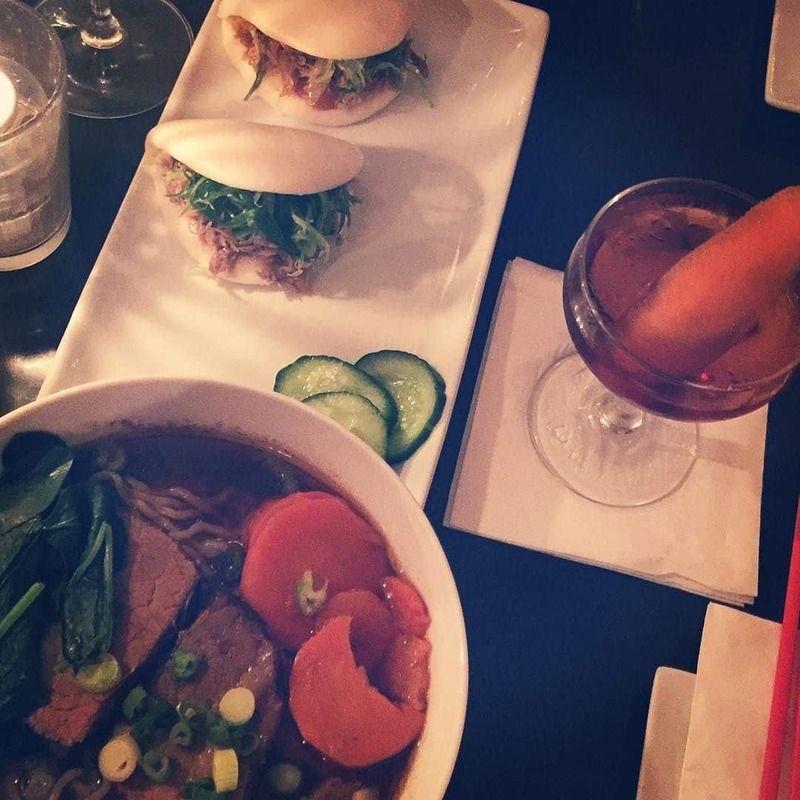 My favorite dishes include the Specialty ramen, Duck Bao, and Bok Choy. The cocktails area always good and Lucky Luna has a “Taco Tuesday” special every week that consists of 2 tacos and a tecate for the normal taco plate price.